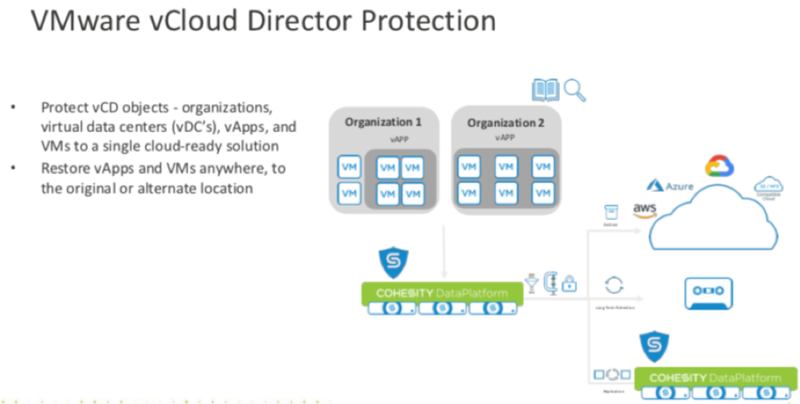 In this second part of the vRetreat Cohesity blog I will be updating you on the “Simple at Scale” components that Cohesity have been investing into, as well as the integrations and analytics tooling now available within the platform. The simple at scale breakdown from Cohesity is made up of Multi-Tenancy, Multi-Cluster management, smart assist and API integrations for automation aimed at their partnered service providers. From my experiences working for global reseller & service provider is that there is more appetite for organisations to take an “easy” consumable service that is predictable for growth commercially, whilst allowing the service provider to manage the technical complexity… especially around secondary storage services such as test/dev and backup. I wouldn’t say I totally agree with the IDC comments above, as a lot of organisations are still finding their way with their cloud strategies and journeys. 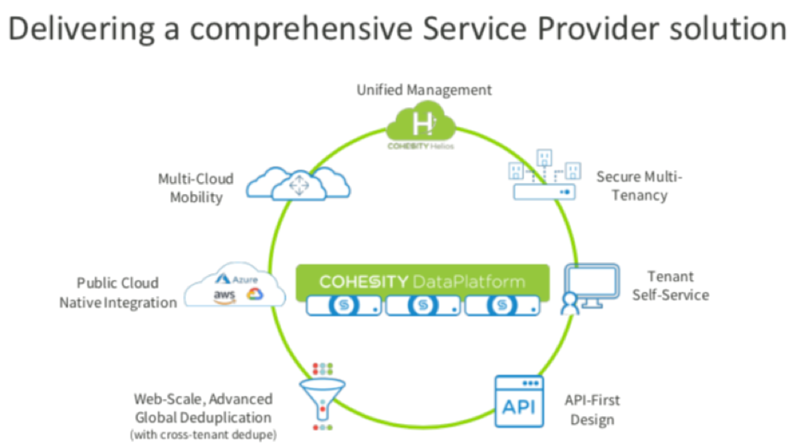 For service providers the Cohesity platform has the capability to provide secure isolation for multi-tenant deployments by utilising management isolation capability as well as infrastructure isolation. Infrastructure isolation is delivered through each client on the platform having their own private encryption key and logical storage pool with crypto-erase, with logical isolation through VLAN configurations. At the heart of most service provider platforms there is a requirement to provide an element of self service capability and automation to drive cost efficient service pricing. (less reliance on human contact for some tasks). 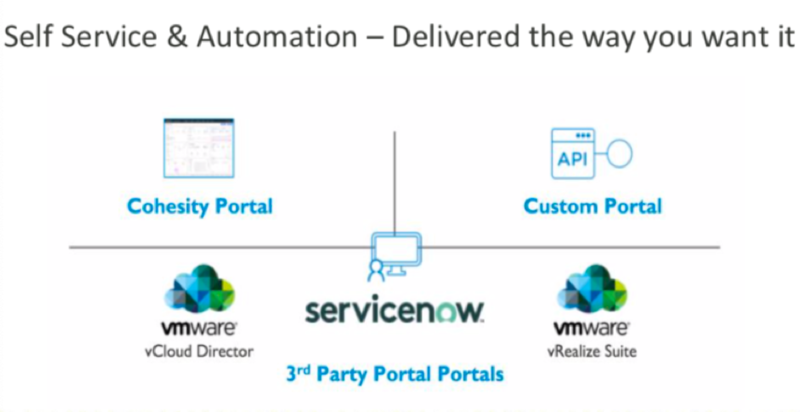 Cohesity has invested in integrations with VMware, ServiceNow etc. 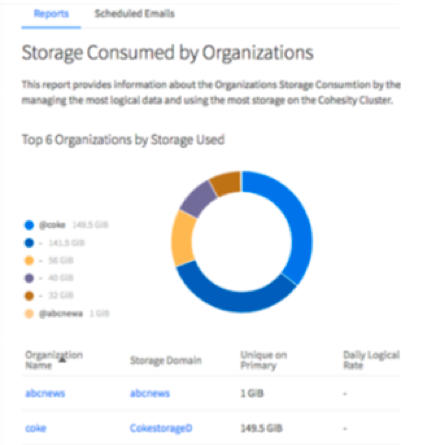 through the Cohesity portal and custom APIs available. One of the key reporting elements for service providers is how you look to chargeback and track consumption on the platform(s). Cohesity has built in chargeback showing each tenant consumption. To pick on smart assist, I believe this is where a lot of the power can be derived within the platform allowing for 3month data projections with alerting capabilities, alerting based on potential failures 60 days ahead of failure and visual cues on major changes / events allowing for faster troubleshooting and RCA. experienced a Ransomware attack, and 35% of attacks have been resolved through paid ransoms. The features and benefits of each of these can be found below.